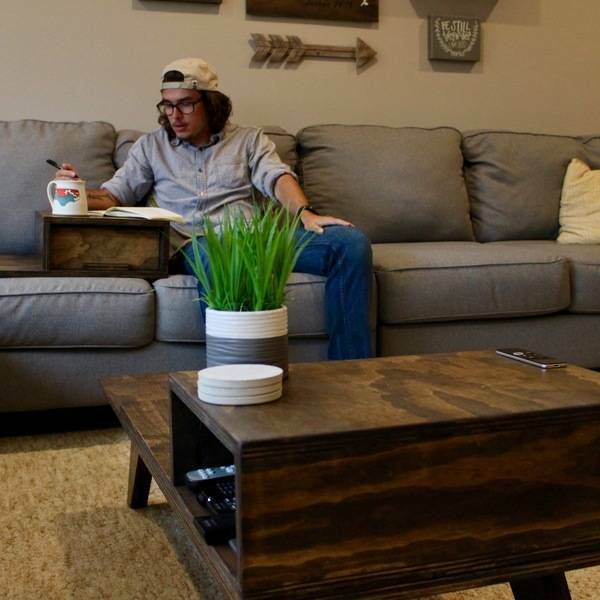 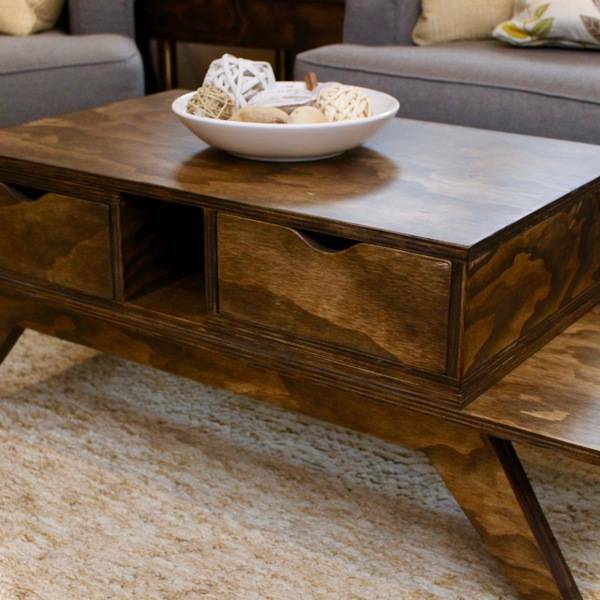 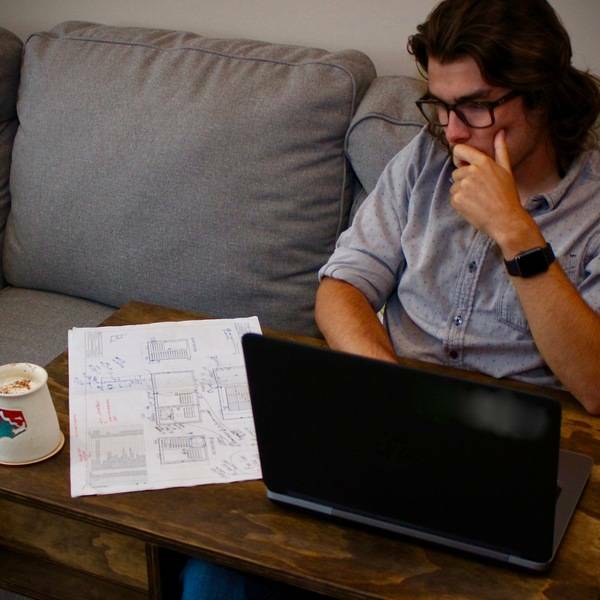 Coffee table by day, couch desk by night! 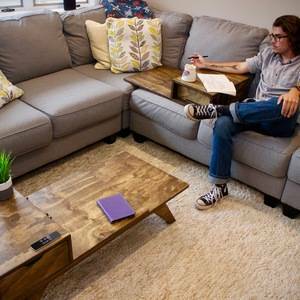 If you've ever tried to do paperwork or journaling on your couch you know how difficult it can be without a sturdy flat surface to work on. 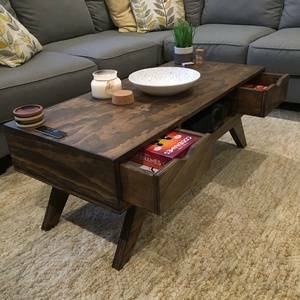 I wanted to design/build a reconfigurable coffee table, where parts of the table could be used as a "couch desk," for lack of better words. 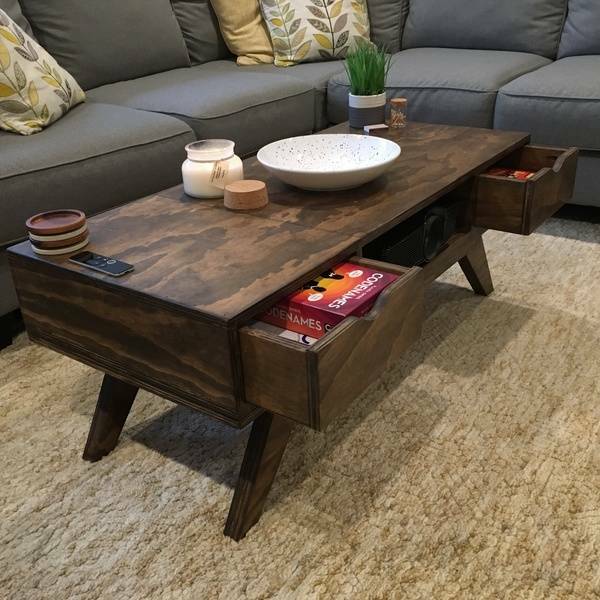 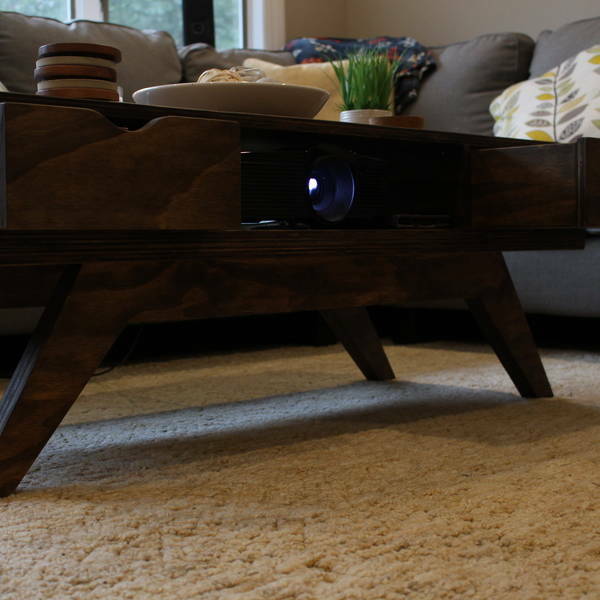 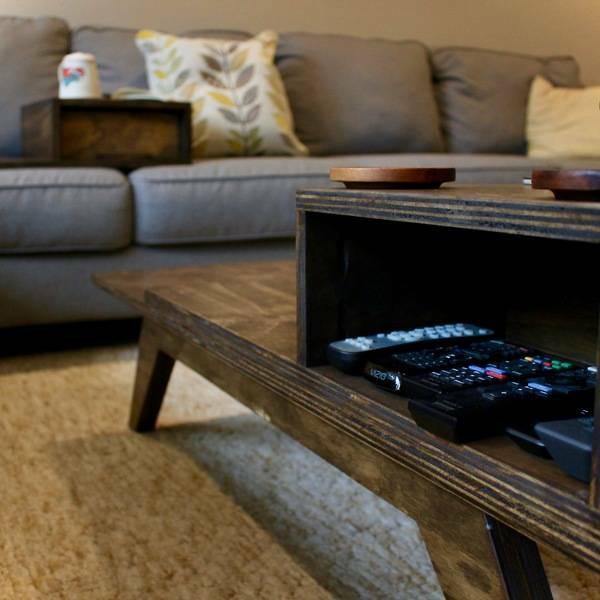 I also wanted a table that could store some of our favorite games, house our projector, reconfigure into the perfect floor-seating height table for board games and movie dinners, and also store our remotes out of sight within reach of our go-to couch spot. 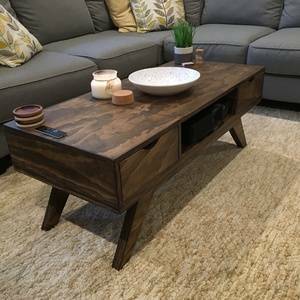 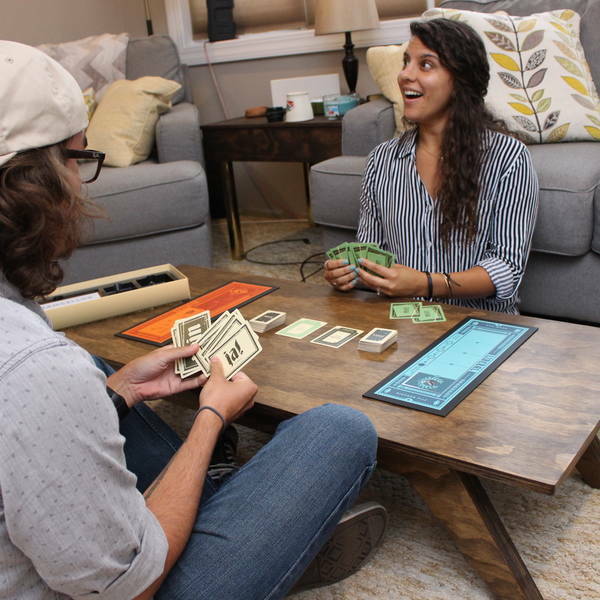 I also wanted the entire table to be made from 3/4" sanded plywood that is affordable and readily available at Home Depot, while giving an industrial/modern feel; this table ended up requiring just over 1 sheet of plywood at $36/sheet.